Vet's Best the widely trusted natural health care line for pets, has been applying natural science to its formulations for more than 28 years: Veterinarian-invented, natural ingredients and natural health systems. Vet's Best uses only the highest quality natural ingredients across all of its formulas. 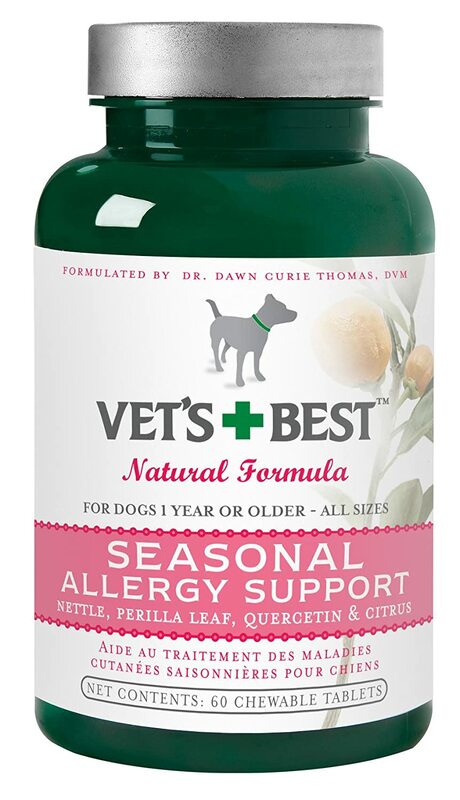 Our Seasonal Allergy Support was created for dogs plagued with seasonal allergies, our calming blend gently supports skin health due to exposure to pollens and flea bites. Contains Nettle leaf, used by herbalists in Europe, Africa, Asia and North America to support normal histamine levels.